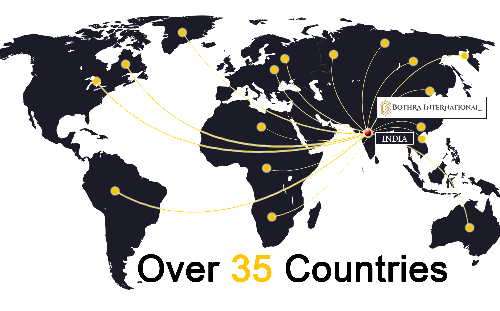 Over the last two decades, we have served over 200 happy and satisfied customers in over 35 countries. Our customer portfolio includes wholesale importers and distributors, mail order catalogues, retail chain stores, online business portals, furniture and interior designersand project implementors. We are compliant with all major norms and standards relating to product, facilities, testing, social compliances and CTPAT compliances. Our commitment to quality has brought us enormous prestige over the years. With quality, we understand the value of sustainability in the workplace and beyond. In addition to being an established export house in the country, we have given special care to protecting our people and the environment in which they work. We have internationally recognized accreditations from EPCH ‘Vriksh’ Timber Legality Assessment and Verification Standard, for verification of the legal origins of wood. We are concerned about the legal origin of our products and raw materials. VRIKSH is reckoned to be equivalent as FSC and complies with timber legality assessment and verification. This also indirectly justifies our commitment to deliver ecologically viable products. We ensure that the chemicals that we use adhere to international standards. REACH is a regulation of the EU, adopted to improve the protection of human health and the environment from the risks that can be posed by chemicals. We understand the importance of a secure supply chain, and hence, have got our company certified from CTPAT, which promotes the security of private companies' supply chains with respect against terrorism. We participate twice every year at the Delhi Show (Spring & Autumn editions) and our new product developments are majorly exhibited during these two shows. We also have a permanent mart which is open every time during the show dates in February and October. However, for the rest of the year, the display is open only with prior appointments with visiting buyers. In order to organize the appointments other than the show dates, please call Mr. Pintu (+91 94149 88019).